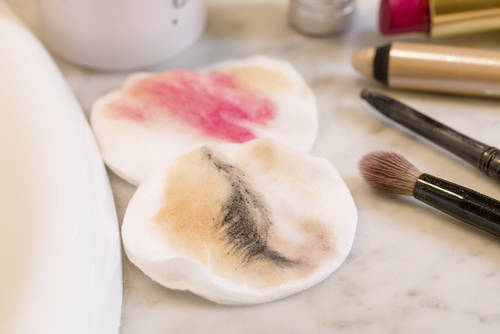 What If I Told You That You Can Take Off *All* Kinds Of Makeup With Just A Towel And Water? What's the worst part about wearing makeup every day? Getting rid of it all! It can get pretty tiring and expensive too. Makeup remover and cotton pads are pretty expensive. I know I've been guilty of sleeping with my makeup on after a tiring day! 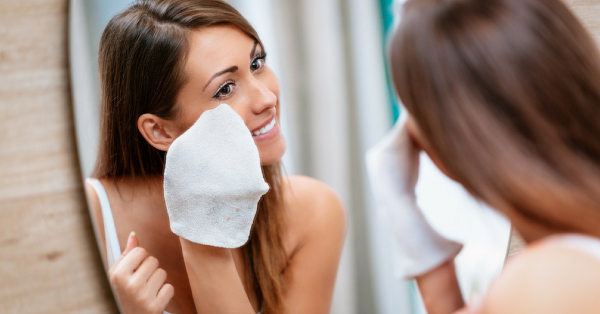 Even if you don't wear makeup on a daily basis, you need to cleanse your skin of the sunscreen and moisturiser. I found these amazing, reusable towels and gloves that get rid of makeup at a fraction of the cost of what buying makeup remover, wipes and micellar water every month would cost you. The best part? All you need to do is run these towels under warm water and that's it! They will melt away all the makeup and impurities in your skin. Wash them with soap and warm water and you can reuse them. You could even toss them into the washing machine! The cloth is woven with tiny microfibers that cleanse and exfoliate your skin in the most gentle way possible. Here are some of the best makeup remover gloves you can get your hands on!